A concerned netizen and prominent supporter of Pres. Rody Duterte on social media, Krizette Laureta Chu defended PAO Chief Atty. 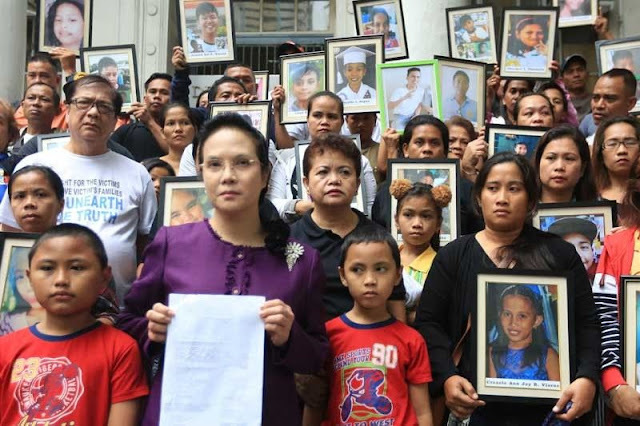 Persida Acosta and the bloggers for the measles outbreak. According to Atty. Acosta, blaming Atty. Acosta and other bloggers for the outbreak is like saying you'd rather have children dying from inappropriate vaccines like like Dengvaxia than dying from measles. Chu stated that if PAO Chief Acosta and other bloggers didn't talk about Dengvaxia's danger to the ones who had no primary dengue infection, it would have risked millions more. Blaming Persida Acosta and the bloggers for the measles outbreak is like saying you'd rather have children dying from inappropriate vaccines like Dengvaxia than dying from measles. Hello. If they didn't talk about Dengvaxia's danger to the ones who had no primary dengue infection, it would have risked millions more. It was not Persida Acosta's job to talk about the other vaccines. DOH should have done it, explained that while Dengvaxia is under scrutiny, other vaccines are safe. I repeat, it is not the PAO's job to talk about other vaccines. It is somebody else's job to assure the public while PAO went after those who so cavalierly risked the lives of the kids who've never had dengue. Bakit, bawal na ba mag warn nang tao about one vaccine?